The first kick I learned in Jiu Jitsu and in Karate was the mae geri keage or front snap kick. It was an obvious addition to first learning the zenkutsu dachi or forward stance. We were lucky. Our Jiu Jitsu instructor placed atemi or striking techniques directly into the traditional Jiu Jitsu curriculum. In fact, in those days, our Jiu Jitsu class consisted of 50% striking/kicking and 50% throws, locks, takedowns, etc. Personally, I found a lot of self defense value in this approach. Shihan Ron Forrester was heavily influenced by Karate. In fact, he trained with O-Sensei Masami Tsuruoka. Forrester was the Father of Canadian Jiu Jitsu; Tsuruoka, the Father of Canadian Karate. When I started training in Jiu Jitsu, I found all the stances, blocks, punches, strikes and kicks to be the same. The only Karate item we didn’t do was Kata. But Forrester soon rectified that, creating a series of basic Kata which incorporated techniques from traditional Jiu Jitsu. We were told to practise the front snap kick, from a stationary stance position, or in stance walking up and down the floor, with or without a partner. Kick ‘til you sweat. Kick ‘til your gi is soaked; kick ‘til you can’t move your leg. Then kick some more! Jiu Jitsu…Karate…it didn’t matter. Kick, we were ordered, often and hard. 1. 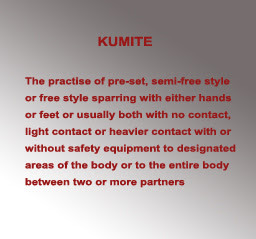 Traditional Karate is full of throws, locks, sweeps, takedowns, etc. Too many to count. 2. Blocking and striking are great, yet the “stand up” grappling and “the ground” techniques (using the modern vernacular), just add a little more to the repertoire. Karate-ka…you’re not leaving the tradition, or falsifying the gifts given to you. 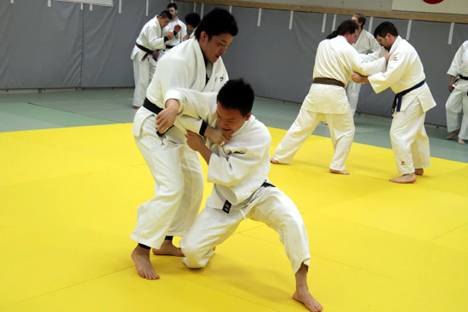 Throws and locks, as well as chokes and strangles, are inside the tradition. Forrester was an innovator, as many legends in their own right such as Richard Kim and Wally Jay have said about him in the past. 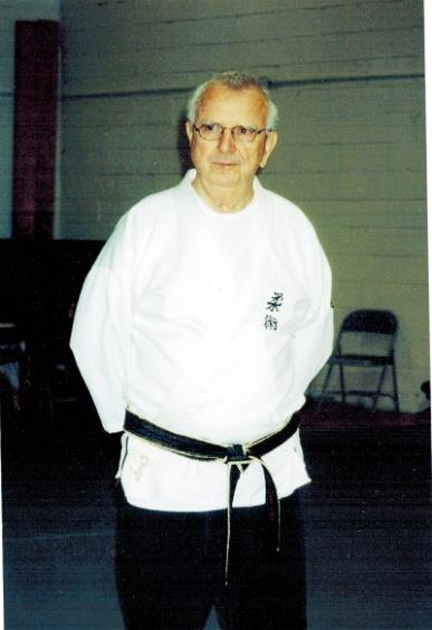 He brought Joe Lewis (Karate), Bill Wallace (Karate), Pankration (Jim Arvanitis), Wally Jay (Small Circle Jiu Jitsu) and many more in to run workshops. He was always working on martial arts, thinking, planning, always evolving. He was the first Chair of the World Council of Jiu Jitsu organizations, and his Canadian teams took home the world championships in sparring a record five times. Sparring? We do that in Karate. It’s called Kumite. In Jiu Jitsu, we do ippon kumite, sanbon kumite, gohon kumite and , of course, jiyu kumite. 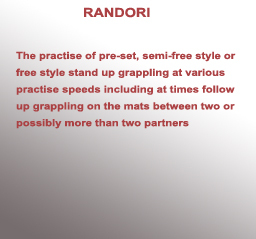 So why can’t we practise a form of randori in Karate the way we do randori in Jiu Jitsu? The material is certainly there. 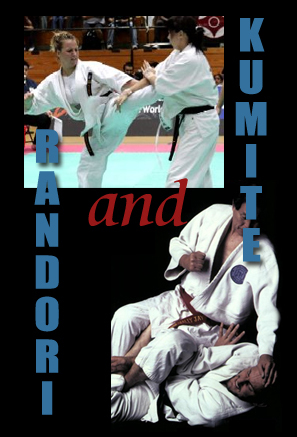 In fact, there is a ton of randori worthy material in the Nihanchi series of Kata that we can all practise ad hoc in a close quarter way…without being disrespectful to the original lineage masters. We live, we thrive, within the scope of the martial arts we practise. We evolve…to return to the essence of the past, when the masters created the kihon and the Kata based on their own experiences. Modern MMA? No…the past coming back to life again. The Kata, the Kihon…all there at our fingertips. With no separation between the skills. After all, Kumite translated can refer to “grappling hands”. The Karate/Jiu Jitsu mind fully realized knows no restrictions; neither does the practise of one or the other or both.